Add a hint of elegance to any outfit with these striking drop earrings. 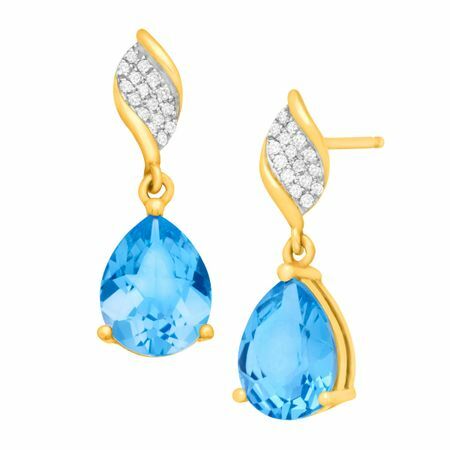 Set in 10K gold, the earrings feature pear-cut natural Swiss blue topaz totaling 4 1/2 ct and diamond accents. Pieces measure 13/16 by 1/4 inches.